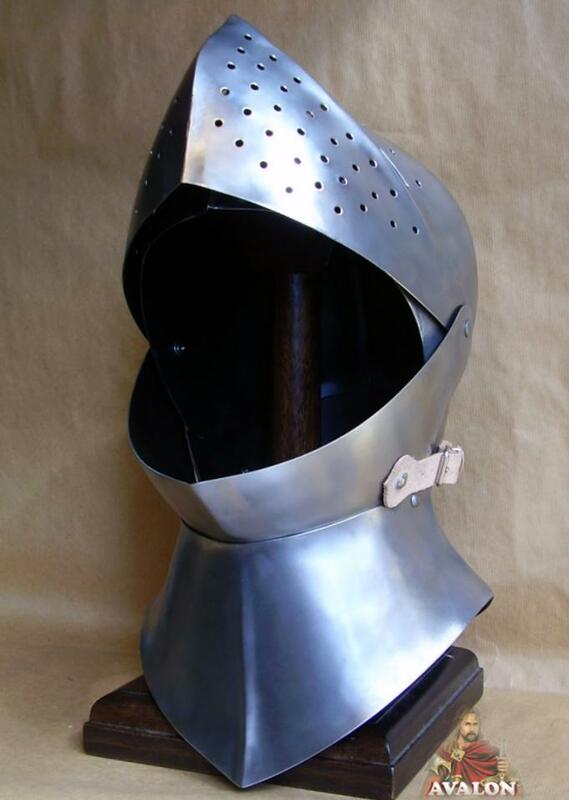 This model of medieval helmet bascinet was popular in the XV century. 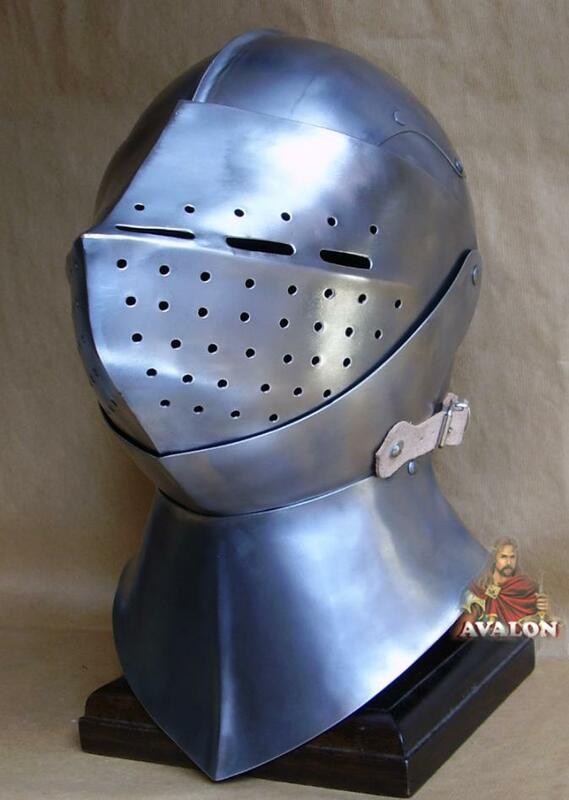 This model of medieval helmet is compliant to SCA-standards. 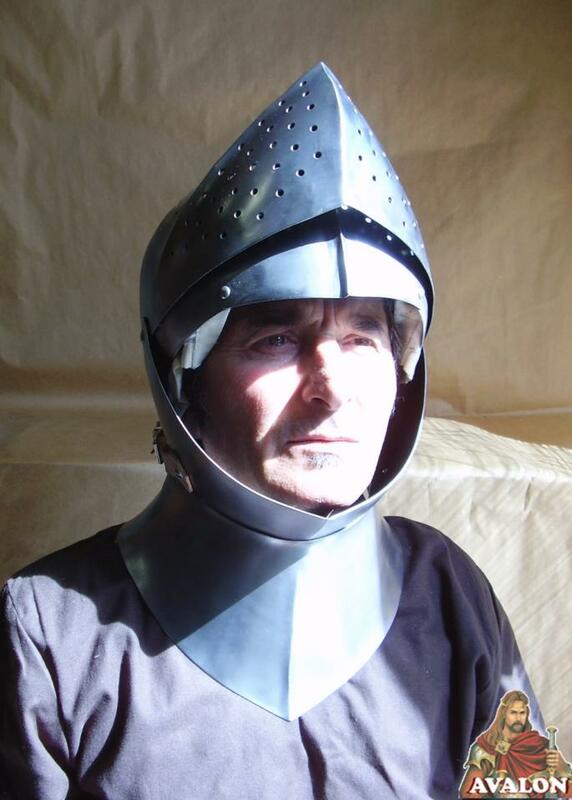 It is believed that the bascinet evolved from the cervelliere, which was worn with a mail coif, as either the sole form of head protection or beneath a great helm. 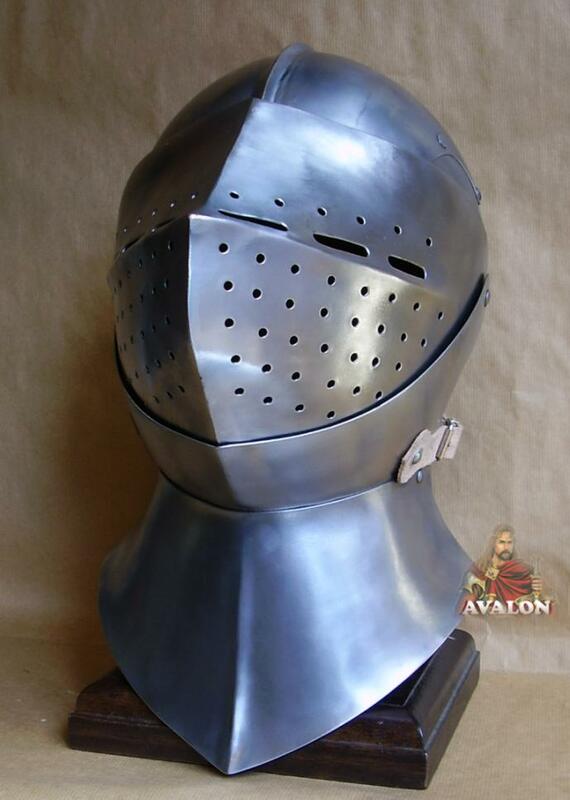 This model of medieval helmet is compliant to SCA-standards. 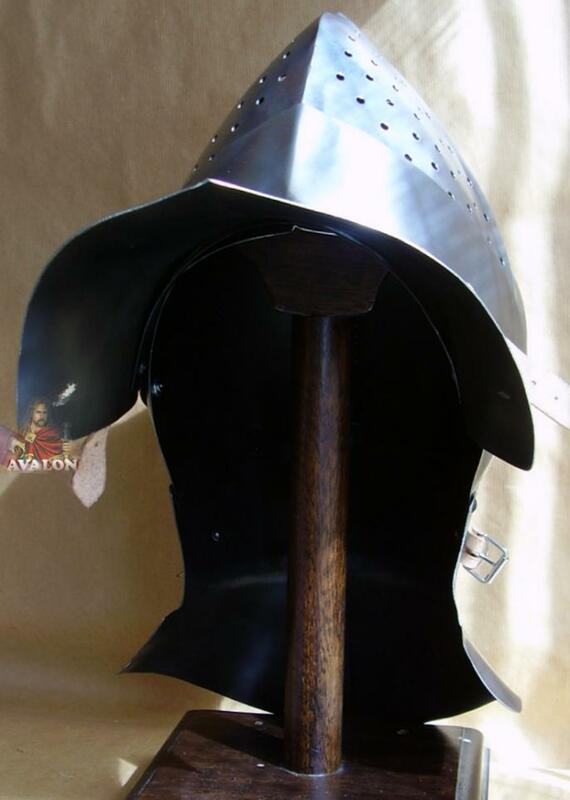 Helmet horse parade, dating from the XVI century. 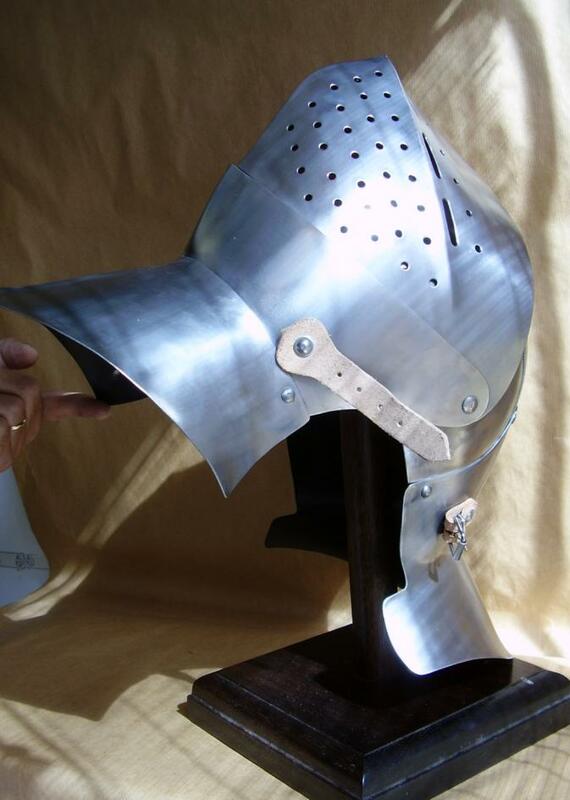 It has a full visor elaborate, with protruding top edge of the cage and crowned with curved elements. 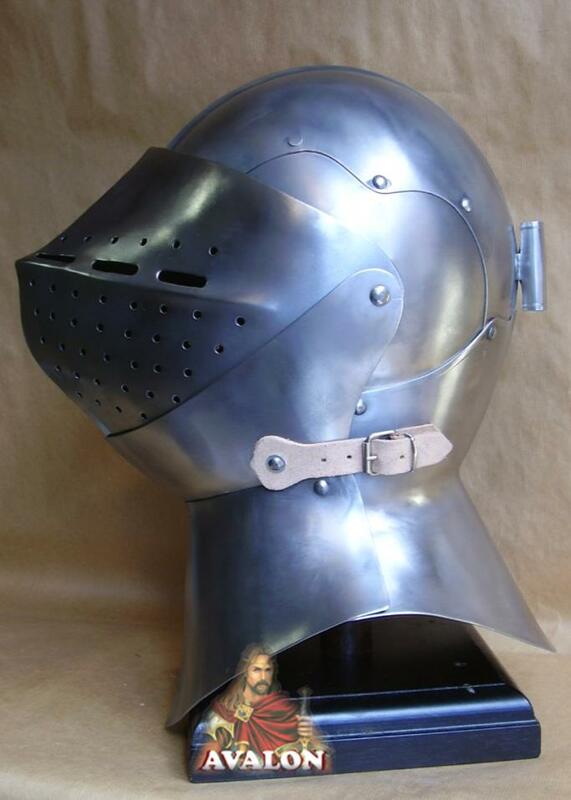 The helmet knight (armet) possibly of Florentine Italian manufacture was developed in the 15th century, the first helmet of its era to completely enclose the head, used in England, France, Germany, Italy, and Spain. 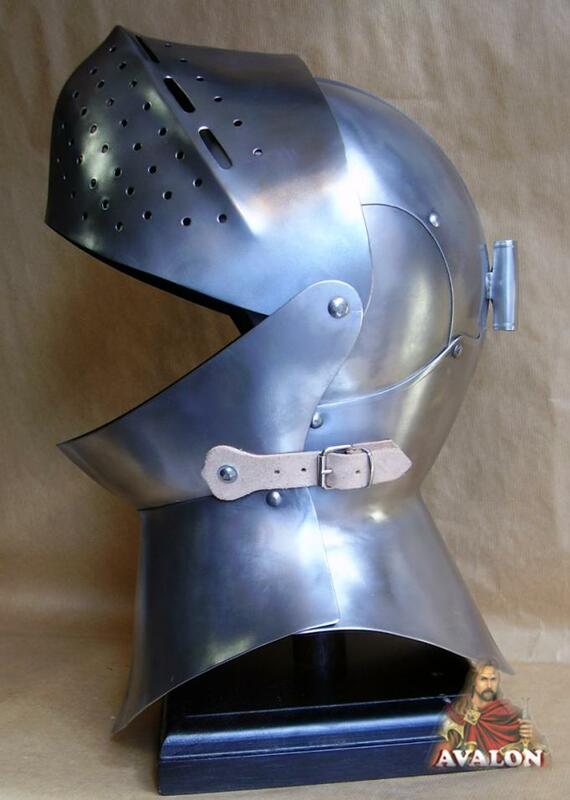 The typical helmet knight (armet) consisted of four pieces: the skull, the two large hinged cheek-pieces which locked at the front over the chin, and a visor which had a double pivot, one either side of the skull. The cheek-pieces opened laterally; when closed they overlapped at the chin. 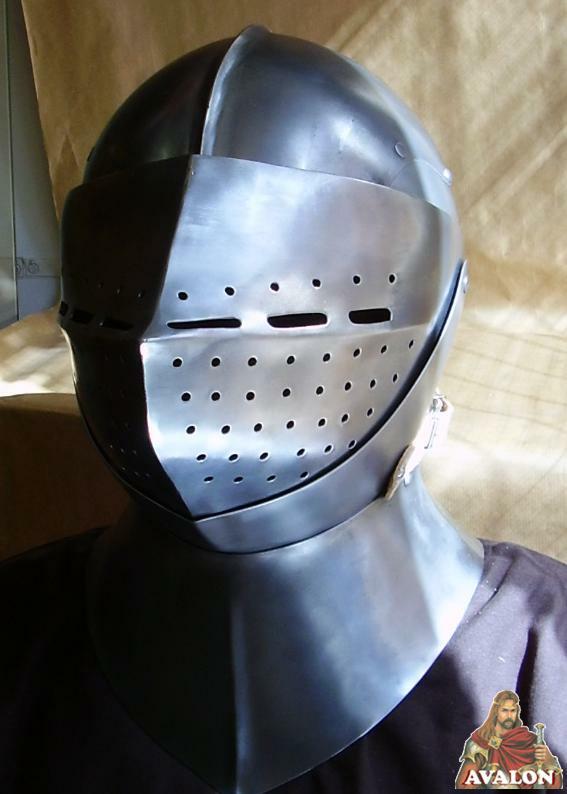 Made entirely of steel, handmade and wearable. Made in Italy. - Available in four sizes (S - M - L and XL). - Material: mild steel brushed in finish: Polished or Burnished. - Thickness of the steel to choose: 1mm - 2mm (18 ga -14 ga). - Finish: untreated (slightly oiled). - Dimensions: 14h x 10w x 12.75d inches. - Weight: 6.4 lbs (18 gauge). - Inner diameter: Approximately 24" (sizes L). 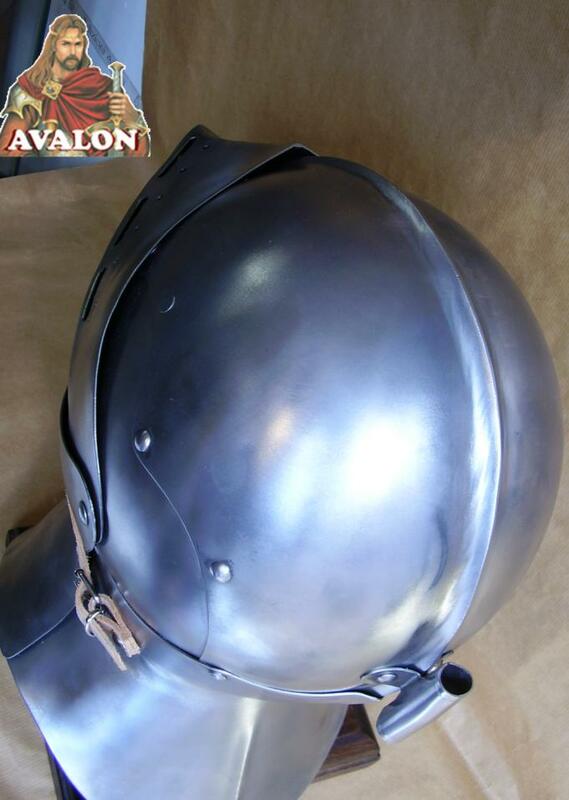 Bascinet Helmet is produced by highly skilled artisans in Italy, equipped with leather straps and external adjustable buckles to be worn.